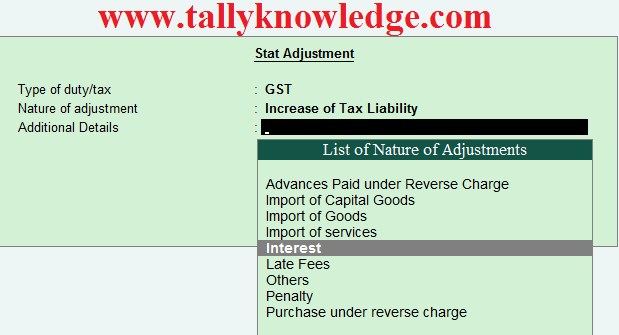 Home / GST-Tally / How to Show Interest and late payment in GSTR 3B in Tally Release 6.3? 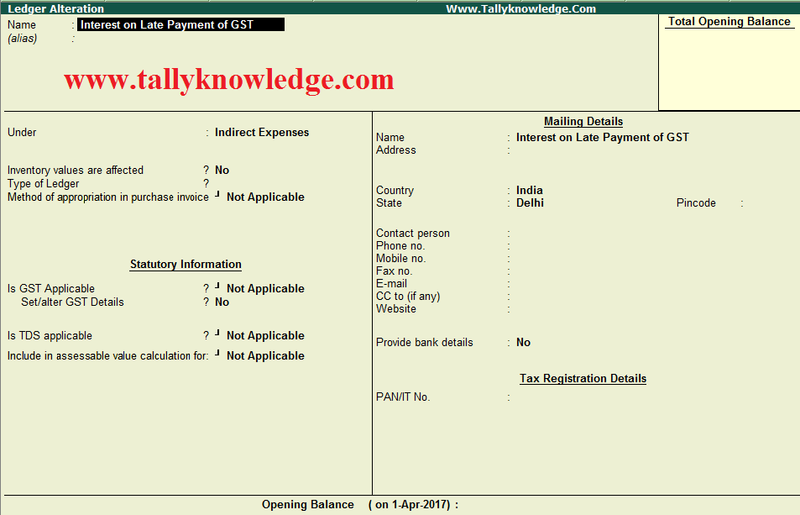 How to Show Interest and late payment in GSTR 3B in Tally Release 6.3? In our previous post we discuss about how to Generate and Recticy GSTR - 3B in Tally. Tally update their new release 6.3 with latest updates including GSTR 3B for creating and uploading Json file directly to upload on GST Portal. In this release Tally also provide to directly upload and pass the Interest and Late payment . In this tutorial we show how to create entry for late filing penalty or Interest on late payment of GST. So First step is to create ledger "Interest on Late Payment of GST" under Indirect Expenses like below image. Click Accept and save the details of Ledger. To pass the Interest/ Penalty entry you have to create Central Tax and State Tax ledgers which is already created. Create a journal voucher - select journal or press F7. Now press Alt + J for Statutory Adjustment, Select GST - Increase of Tax Liability - Interest. Suppose if your Interest Tax Liability is Rs. 500 then in dr. Select "Interest on Late Payment of GST" (which is Indirect Expenses) of Rs. 500 and in Credit Select Central Tax (CGST) for Rs. 250 and State Tax (SGST) for Rs. 250. Similarly if you want to pay interest on Integrated Tax then Select IGST in Credit Side. This entry will impact Interest direct to Column no. 5.1 for Penalty or Interest late payment of GST.